Kilwins, 1724 Sherman Ave. 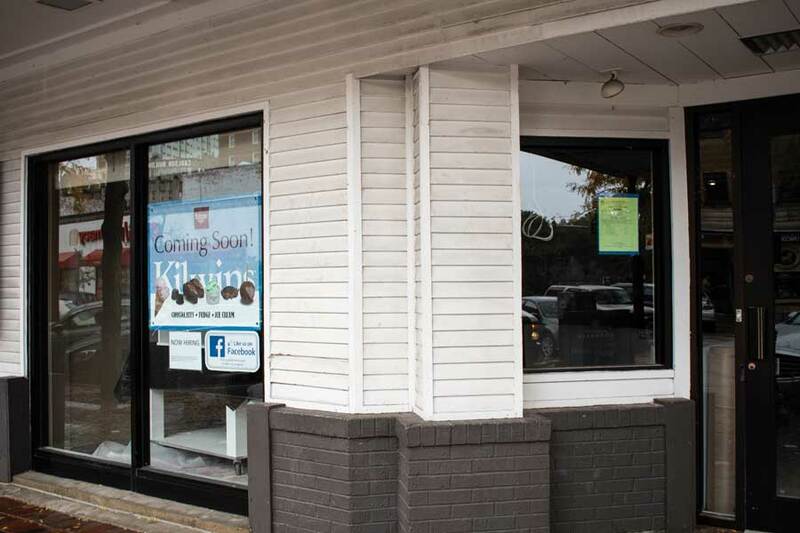 The ice cream and candy store will open in early November, owner Jeff Schneider said. Kilwins, a national ice cream and candy shop, is set to open its first Evanston location in early November. Owner and operator Jeff Schneider said they are in the final stages of construction for his store, located in downtown Evanston at 1724 Sherman Ave. The new shop will feature 32 flavors of “Original Recipe” ice cream, as well as popular candies such as fudge, brittles and caramels, Schneider said. Schneider noted that he’s putting the kitchen at the front of the store, so people walking by on Sherman Avenue can see them making their products in the front window. Annie Coakley, executive director of Downtown Evanston, said Kilwins chose a unique spot to open its new store. Coakley also said Kilwins brings something different to the downtown area. While Cold Stone Creamery and Andy’s Frozen Custard are already in downtown Evanston, Kilwins will also provide handcrafted chocolates and fudge made in-store. Coakley added that the shop will be open year-round, with offerings ranging from Kilwins traditional ice creams to hot chocolate. Taylor Reyes, a McCormick junior, said she used to visit Kilwins when she was younger, but she hasn’t been to the store in a long time. Schneider said his family is excited to open the new store. He said he has been receiving feedback from the Evanston community about people who are excited to visit the new Kilwins, and he hopes to provide a “great atmosphere” in his store like he has in other Kilwins. Schneider said Kilwins Evanston is almost ready to open, and workers are finishing the last bit of construction and hiring new employees. While the grand opening has been pushed back until the beginning of November, Schneider said he will have a firm opening date in the near future.